Gjennom oppbygging av en forskninglaboratorium innrettet mot idrett og fysisk aktivitet i Tromsø og Alta vil Idrettshøgskolen UiT styrke infrastrukturen for forskning på trening, fysisk aktivitet og folkehelse. Laboratoriene vil gi flere fagmiljø på tvers av fakultetene ved UiT tilgang til utstyr og infrastruktur som utvikler kompetansen innenfor fagfeltet. Pettersen, Svein Arne; Johansen, Håvard D.; Baptista, Ivan AM; Halvorsen, Pål; Johansen, Dag. Quantified Soccer Using Positional Data: A Case Study. Frontiers in Physiology 2018; Volum 9. ISSN 1664-042X.s doi: 10.3389/fphys.2018.00866. Krustrup, P., Williams, C. A., Mohr, M., Hansen, P. R., Helge, E. W., Elbe, A.-M., . . ., Pettersen, S.A…. Brito, J.). The “Football is Medicine” platform – scientific evidence, large-scale implementation of evidence-based concepts and future perspectives. Scandinavian Journal of Medicine & Science in Sports, 2018. Riiser, A., Andersen, V., Castagna, C., Pettersen, S. A., Saeterbakken, A., Froyd, C., . . . Moe, V. F. (2018). The Construct Validity of the CODA and Repeated Sprint Ability Tests in Football Referees. International journal of sports medicine. Pettersen, Svein Arne; Brenn, Tormod. Activity and fatigue profiles by playing position in youth elite soccer players in official matches during one season. 2018 (under review). Baptista, Ivan; Johansen, Dag; Figueiredo, Pedro; Rebelo, António Natal; Pettersen, Svein Arne. A comparison of physical demands between two different tactical systems in a professional football club: 1-4-5-1 vs 1-3-5-2. 2018 (under review). Pedersen, Sigurd; Sagelv, Edvard Hamnvik; Heitmann, Kim Arne; Johansen, Dag; Pettersen, Svein Arne. Short-term effects of maximal strength training in female football players. World Congress on Science in Football, 2018 (Abstract for oral presentation, under review). Andreassen; Kim Hartvedt; Johansen, Dag; Johansen, Havard; Baptista, Ivan; Riegler Michael Alexander; Halvorsen, Pal Metrix: Real-time Analysis of Physical Performance Parameters in Elite Soccer. (under review) 2018. Sagelv, Edvard Hamnvik; Engseth, Tina; Pedersen, Sigurd; Pettersen, Svein Arne; Mathisen, Gunnar; Heitmann, Kim Arne; Welde, Boye; Thomassen, Tor Oskar; Stoggl, Thomas Leonhard. 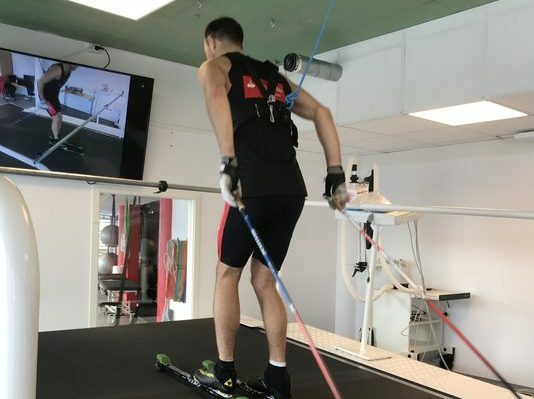 Physiological Comparisons of Elite Visma Ski Classic Athletes and National Level Cross-Country Skiers During Uphill Treadmill Roller Skiing. Frontiers in Physiology 2018; Volum 9 (1523). ISSN 1664-042X.s doi: https://doi.org/10.3389/fphys.2018.01523.